I graduated with a degree in Marine Biology and Tropical Zoology from James Cook University in North Queensland and then completed a PhD in the Departments of Tropical Environmental Studies and Zoology. My study looked at the popuation ecology, social genetics and mating biology of the Allied Rock wallaby (Petrogale assimilis), using the [then] new technique of DNA Fingerprinting. After completing my PhD, I then travelled to Germany, and spent a year at the University of Göttingen, followed by a post-doc with the Marsupial CRC (Perth Zoo). My research has ranged from the development and application of molecular markers (mainly microsatellites) to the study of endangered and threatened species of marsupials – and lots of other animals. I have a broad interest in the molecular ecology of vertebrates including studies of sexual selection, mating, population genetics and taxonomy, with particular emphasis on how genetic information can be used in conservation management of Western Australian fauna. My current research interests are firstly in conservation, epidemiology and disease modelling based on Australian mammals and feral animal genetics. These have been large projects where we made DNA profiles for over 1000 pigs, 1200 camels, 1000 mice and 1000 feral cats. I also have a range of projects investigating conservation genetic questions in many native species. Recent advances in the use of Massive parrallel DNA sequencing (or NextGen sequencing) has been adopted in projects such as the mulgara (Dasycercus sp. ), (Pilbara) olive python, box and Irukandji jellyfish, numbat and ghost bat. I have a long association withadopting DNA profiling and forensics. I focus on the development of laboratory best practice for the application of DNA technology in wildlife forensics. This work has attracted interest from industry participants, and our lab is a foundation member of the Society for Wildlife Forensic Science. and contribute to other courses at Murdoch University such as Introduction to Forensic Science (PEC103), Bodies of Evidence (BIO215) and Ecology (ENV268) . The labis well resourced with a range of high-end genetic instrumentation and techical tools, including DNA sequencing, fragment analysis, next generation sequencing. We are also strong in the analysis and statistical interpretation of population genetic data. The lab also as substantial collection of DNA & genetic samples. We currently have over 5,500 mammal samples, from over 150 native species. There are also >2,800 reptile and 1,500 bird samples available for analysis. The lab and people working in it are researching a range of native species and invasive pest vertebrates. We are using genetic information, in combination with approximate Bayesian statistics to investigate the population dynamics of introduced and Australian wildlife. Kimberley island biogeography projects: These projects document the morphology and genetics of island and mainland populations of representative vertebrate species, including iconic species such as the northern quoll, Kimberley rock rat, Ctenotus inornatus. CALM Land for Wildlife How ancient DNA was able to identify the extinct rock- wallaby on Depuch Island Western Wildlife 7: 3-4. I have had some fantastic undergraduate and postgraduate students working in the laboratory. I see my role as assisting in their supervision, logistical/academic mentoring and the introduction of molecular methods in conservation projects to assist students with their projects and studies. Dixon, R 2012 Ecology of seaweed, Sargassum. Sutherland D 2004 Regulation of spacing within wild populations of the feral House mouse, Mus domesticus. Mills H 2004 Reproductive and molecular ecology of the Dibbler. McInnes L 2006 Development of DNA profiling methodologies using microsatellite markers for the forensic and wildlife identification of black cockatoos (Family Calyptorhynci). Williams J 1998 Development of microsatellite markers for the Chuditch (D. geoffreii: Western quoll). Hampton J 2003 Molecular ecology of feral pigs in the southwest of Western Australia. Alacs E 2001 Population fragmentation in the quokka, Setonix brachyurus. Thompson B 2000 Cross species amplification of microsatellites developed for the water rat in Australian native rodents. Bentley S 2000 Evidence of sperm competition as a component of sexual selection in the Honey possum, Tarsipes rostratus. Bryant K 1999 Geographical variation in the Honey Possum Tarsipes rostratus. Hinds F 1999 Identification of microsatellite DNA markers for genetic studies of the Water rat, Hydromys chrysogaster. Daglish R 1998 The development of microsatellites to examine the mating systems in Crocodylus porosus: Do females have multiple partners? McLauglin C 2004 Development of wildlife forensic techniques for pythons. Bryant K 1997 The extraction and amplification of DNA from museum specimens. Krutzen, M., Beasley, I., Ackermann, C., Lieckfeldt, D., Ludwig, A., Ryan, G., Bejder, L., Parra, G., Wolfensberger, R., Spencer, P., (2018), Demographic collapse and low genetic diversity of the Irrawaddy dolphin population inhabiting the Mekong River,	PLoS One, 13, 1, pages 1 - 16. Eldridge, M., Neaves, L., Spencer, P., (2018), Genetic analysis of three remnant populations of the rufous hare-wallaby (Lagorchestes hirsutus) in arid Australia,	Australian Mammalogy, online, , pages -. Cremona, T., Spencer, P., Shine, R., Webb, J., (2017), Avoiding the last supper: parentage analysis indicates multigenerational survival of re-introduced 'toad-smart' lineage,	Conservation Genetics, 18, 6, pages 1475 - 1480. Spencer, P., Sandover, S., Nihill, K., Wale, C., How, R., Schmitt, L., (2017), Living in isolation: ecological, demographic and geneticpatterns in northern Australiaï¿½ï¿½s top marsupial predatoron Koolan Island,	Australian Mammalogy, 39, 1, pages 17 - 27. Pacioni, C., Williams, M., Lacy, R., Spencer, P., Wayne, A., (2017), Predators and genetic fitness: key threatening factors for the conservation of a bettong species,	Pacific Conservation Biology: a journal dedicated to conservation and wildlife management in the Pacific region, 23, 2, pages 200 - 212. Minjanos, J., Pacioni, C., Spencer, P., Hillyer, M., Craig, M., (2017), Characterizing the post-recolonization of Antechinus flavipes and its genetic implications in a production forest landscape,	Restoration Ecology, online (doi: 10.1111/rec.12493), doi: 10.1111/rec.12493, pages -. Mijangos, L., Pacioni, C., Spencer, P., Hillyer, M., Craig, M., (2017), Characterizing the post-recolonization of Antechinus flavipes and its genetic implications in a production forest landscape,	Restoration Ecology, 25, 5, pages 738 - 748. Hohnen, R., Tuft, K., Legge, S., Hillyer, M., Spencer, P., Radford, I., Johnson, C., Burridge, C., (2016), Rainfall and topography predict gene flow among populations of the declining northern quoll (Dasyurus hallucatus),	Conservation Genetics, 17, 5, pages 1213 - 1228. Ellis, R., Spencer, P., Doody, J., Parkin, T., (2016), A significant south-western range extension for the desert mouse (Pseudomys desertor) in Western Australia,	Australian Mammalogy, 38, 1, pages 120 - 123. Spencer, P., Yurchenko, A., David, A., Scott, R., Koepfli, K., Driscoll, C., Obrien, S., Menotti-Raymond, M., (2016), The population origins and expansion of feral cats in Australia,	Journal of Heredity, 107, 2, pages 104 - 114. Harradine, E., How, R., Schmitt, L., Spencer, P., (2015), Island size and remoteness have major conservation significance for how spatial diversity is partitioned in skinks,	Biodiversity and Conservation, 24, 8, pages 2011 - 2029. Spencer, P., Hampton, J., Pacioni, C., Kennedy, M., Saalfeld, K., Rose, K., Woolnough, A., (2015), Genetic Relationships Within Social Groups Influence the Application of the Judas Technique: A Case Study with Wild Dromedary Camels,	The Journal of Wildlife Management, 79, 1, pages 102 - 111. Harradine, E., Andrew, M., Thomas, J., How, R., Schmitt, L., Spencer, P., (2015), Importance of dispersal routes that minimize open-ocean movement to the genetic structure of island populations,	Conservation Biology, 29, 6, pages 1704 - 1714. Mijangos, J., Pacioni, C., Spencer, P., Craig, M., (2015), Contribution of genetics to ecological restoration,	Molecular Ecology, 24, 1, pages 22 - 37. Mijangos, L., Pacioni, C., Spencer, P., Craig, M., (2015), Contribution of genetics to ecological restoration,	Molecular Ecology, 24, 1, pages 22 - 37. Krawiec, J., Krauss, S., Davis, R., Spencer, P., (2015), Weak genetic structuring suggests historically high genetic connectivity among recently fragmented urban populations of the scincid lizard, Ctenotus fallens,	Australian Journal of Zoology, 63, 4, pages 279 - 286. Harradine, E., How, R., Schmitt, L., de Hass, C., Spencer, P., (2013), Isolation and characterisation of 36 polymorphic microsatellite markers using 454 sequencing in the bar-shouldered skink, Ctenotus inornatus,	Conservation Genetics Resources, 5, 1, pages 207 - 210. Spencer, P., Marshall, K., (2013), Food forensics in the human and pet-food industry: Use of a simple technology to identify commercially important species of kangaroos from Western Australia,	Journal of Forensic Research, 4, 3, pages 190 - 194. Haouchar, D., Haile, J., Spencer, P., Bunce, M., (2013), The identity of the Depuch Island rock-wallaby revealed through ancient DNA,	Australian Mammalogy, 35, 1, pages 101 - 106. Holyoake, C., Holley, D., Spencer, P., Salagado-Kent, C., Coughran, D., Bejder, L., (2013), NORTHERNMOST RECORD OF SHEPHERD S BEAKED WHALE TASMACETUS SHEPHERDI A MORPHOLOGICAL AND GENETIC DESCRIPTION FROM A STRANDING FROM SHARK BAY WESTERN AUSTRALIA,	Pacific Conservation Biology: a journal dedicated to conservation and wildlife management in the Pacific region, 19, 2, pages 169 - 174. Pacioni, C., Wayne, A., Spencer, P., (2013), Genetic outcomes from the translocations of the critically endangered woylie,	Current Zoology, 59, 3, pages 294 - 310. Spencer, P., Giustiniano, D., Hampton, J., Gee, P., Burrows, N., Rose, I., Martin, G., Woolnough, A., (2012), Identification and Management of a Single Large Population of Wild Dromedary Camels,	The Journal of Wildlife Management, 76, 6, pages 1254 - 1263. Dixon, R., Huisman, J., Buchanan, J., Gurgel, C., Spencer, P., (2012), A MORPHOLOGICAL AND MOLECULAR STUDY OF AUSTRAL SARGASSUM (FUCALES, PHAEOPHYCEAE) SUPPORTS THE RECOGNITION OF PHYLLOTRICHA AT GENUS LEVEL, WITH FURTHER ADDITIONS TO THE GENUS SARGASSOPSIS,	Journal of Phycology: an international journal of algal research, 48, 5, pages 1119 - 1129. Coghlan, M., White, N., Parkinson, L., Haile, J., Spencer, P., Bunce, M., (2012), Egg forensics: An appraisal of DNA sequencing to assist in species identification of illegally smuggled eggs,	Forensic Science International: Genetics, 6, 2, pages 268 - 273. White, N., Phillips, M., Gilbert, M., Alfaro-Nunez, A., Willerslev, E., Mawson, P., Spencer, P., Bunce, M., (2011), The evolutionary history of cockatoos (Aves: Psittaciformes: Cacatuidae),	Molecular Phylogenetics and Evolution, 59, 3, pages 615 - 622. Pacioni, C., Wayne, A., Spencer, P., (2011), Effects of habitat fragmentation on population structure and long-distance gene flow in an endangered marsupial: The woylie,	Journal of Zoology, 283, 2, pages 98 - 107. Allentoft, M., Oskam, C., Houston, J., Hale, M., Gilbert, M., Rasmussen, M., Spencer, P., Jacomb, C., Willerslev, E., Holdaway, R., Bunce, M., (2011), Profiling the Dead: Generating Microsatellite Data from Fossil Bones of Extinct Megafauna-Protocols, Problems, and Prospects,	PLoS One, 6, 1, pages -. Alacs, E., Spencer, P., De Tores, P., Krauss, S., (2011), Population genetic structure of island and mainland populations of the quokka, Setonix brachyurus (Macropodidae): a comparison of AFLP and microsatellite markers,	Conservation Genetics, 12, 1, pages 297 - 309. Spencer, P., Pacioni, C., (2010), Capturing genetic information using non-target species markers in a species that has undergone a population crash,	Australian Mammalogy, 32, 1, pages 33 - 38. Spencer, P., Woolnough, A., (2010), Assessment and genetic characterisation of Australian camels using microsatellite polymorphisms,	Livestock Science, 129, 1-3, pages 241 - 245. 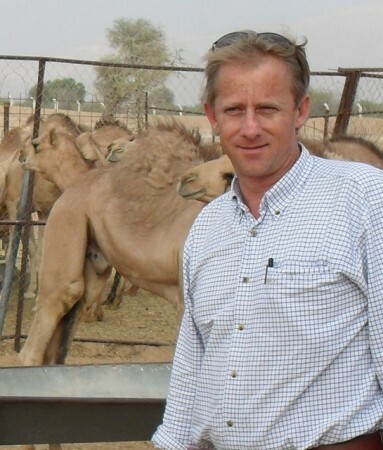 Spencer, P., Wilson, K., Tinson, A., (2010), Parentage testing of racing camels (Camelus dromedarius) using microsatellite DNA typing,	Animal Genetics, 41, 6, pages 662 - 665. Spencer, P., Schmidt, D., Hummel, S., (2009), Identification of historical specimens and wildlife seizures originating from highly degraded sources of kangaroos and other macropods,	Forensic Science, Medicine, and Pathology, 6, 3, pages 225 - 232. Wilson, K., deTores, P., Spencer, P., (2009), Isolation and characterisation of polymorphic microsatellite markers in the western ringtail possum, Pseudocheirus occidentalis,	Conservation Genetics, 1, 1, pages 123 - 125. How, R., Spencer, P., Schmitt, L., (2009), Island populations have high conservation value fornorthern Australia's top marsupial predator ahead of athreatening process,	Journal of Zoology, 278, 3, pages 206 - 217. Allentoft, M., Holdaway, R., Hale, M., McLay, E., Oskam, C., Gilbert, T., Spencer, P., Willerslev, E., Bunce, M., (2009), Identification of microsatellites from an extinct moa species using high-throughput (454) sequence data,	BioTechniques: the journal of laboratory technology for bioresearch, 46, 3, pages 195 - 200. Salinas, M., Bunce, M., Cancilla, D., Alpers, D., Spencer, P., (2009), Divergent lineages in the heath mouse (Pseudomys shortridgei) are indicative of major contraction to geographically isolated refugia on the eastern and western sides of Australia during the early Pleistocene,	Australian Journal of Zoology, 57, , pages 41 - 47. Spencer, P., Cardoso, R., How, R., Williams, J., Bunce, M., Schmitt, L., (2007), Cross-species amplification at microsatellite loci in Australian quolls including the description of five new markers from the Chuditch (Dasyurus geoffroii) and cross-species amplification in other Dasyurids,	Molecular Ecology Resources, 6, 7, pages 1100 - 1103. Clark, P., Spencer, P., (2007), Description of three novel species of Theileria Bettencourt, Franca & Borges, 1907 from Macropodoidea in Western Australia,	Royal Society of South Australia. Transactions, 131, 1, pages 100 - 106. Spencer, P., Hampton, J., Lapidge, S., Mitchell, J., Lee, J., Pluske, J., (2006), An assessment of the genetic diversity and structure within and among populations of wild pigs (Sus scrofa) from Australia and Papua New Guinea,	Journal of Genetics, 1, 85, pages 63 - 66. Wicks, R., Spencer, P., Moolhuijzen, P., Clark, P., (2006), Morphological and molecular characteristics of a species of Hepatozoon, Miller 1908 (Apicomplexa: Adeleorina) from the blood of Isoodon obesulus (Marsupialia: Peramelidae) in Western Australia,	Systematic Parasitology, 65, , pages 19 - 25. Clark, P., Spencer, P., (2006), Haematological characteristics of wild quokka (Setonix brachyurus),	Comparative Clinical Pathology, 15, , pages 82 - 86. Hulme-Moir, K., Clark, P., Spencer, P., (2006), Effects of temperature and duration of sample storage on the haematological characteristics of western grey kangaroos (Macropus fuliginosus),	Australian Veterinary Journal, 84, 4, pages 143 - 147. McInnes, L., Dadour, I., Stewart, M., Ditcham, W., Mawson, P., Spencer, P., (2005), Characterization of polymorphic microsatellite markers for theCarnaby's cockatoo (Calyptorhynchus latirostris) and related black cockatoo species,	Molecular Ecology Resources, 5, 3, pages 504 - 506. Hampton, J., Higgs, T., Knight, T., Spencer, P., (2005), DNA-based detection of free-ranging pigs of domestic origin in Western Australia,	Ecological Management & Restoration, 6, 1, pages 76 - 78. Spencer, P., Lapidge, S., Hampton, J., Pluske, J., (2005), The sociogenetic structure of a controlled feral pig population,	Wildlife Research, 32, , pages 297 - 304. Spencer, P., Hampton, J., (2005), Illegal translocation and genetic structure of feral pigs in Western Australia.,	The Journal of Wildlife Management, 69, 1, pages 377 - 384. Sutherland, D., Spencer, P., Singleton, G., Taylor, A., (2005), Kin interactions and changing social structure during a population outbreak of feral house mice.,	Molecular Ecology, 14, 9, pages 2803 - 2814. Spencer, P., (2004), A preliminary genetic study of the social biology of feral pigs in the south-western Australia and the implication for management,	Wildlife Research, 4, 33, pages 375 - 381. Spencer, P., Woolnough, A., (2004), Size should matter: Distribution and genetic considerations for pest animal management.,	Ecological Management & Restoration, 3, 5, pages 220 - 222. Gongora, J., Fleming, P., Spencer, P., Mason, R., Garkavenko, O., Meyer, J., Droegemueller, C., Lee, J., Moran, C., (2004), PhylogeneticrelationshipsofAustralianandNewZealandferalpigsassessedbymitochondrial control region sequence and nuclear GPIP genotype,	Molecular Phylogenetics and Evolution, 2, 33, pages 339 - 348. 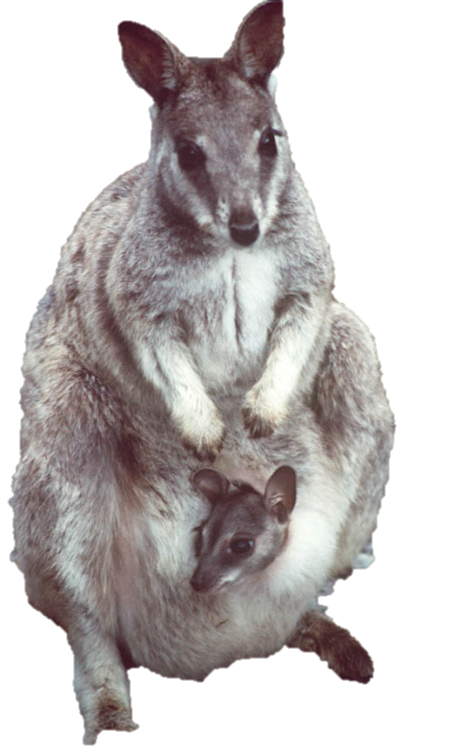 Eldridge, M., Kinnear, J., Zenger, K., McKenzie, L., Spencer, P., (2004), Genetic diversity in remnant mainland and 'pristine' island populations of three endemic Australian macropodids (Marsupialia): Macropus eugenii, Lagorchestes hirsutus and Petrogale lateralis.,	Conservation Genetics, 5, 3, pages 325 - 338. Hampton, J., Spencer, P., Alpers, D., Twigg, L., Woolnough, A., Doust, J., Higgs, T., Pluske, J., (2004), Molecular techniques, wildlife management and the importance of genetic population structure and dispersal: a case study with feral pigs.,	Journal of Applied Ecology: ecology with management relevance, 2, 41, pages 735 - 743. Nilsson, M., Arnason, U., Spencer, P., Janke, A., (2004), Marsupial relationships and a timeline for marsupial radiation in South Gondwana,	Gene, 2, 340, pages 189 - 196. Hampton, J., Pluske, J., Spencer, P., (2004), A preliminary genetic study of the social biology of feral pigs in the south-western Australia and the implication for management.,	Wildlife Research, 4, 33, pages 375 - 381. Mills, H., Moro, D., Spencer, P., (2004), Conservation significance of island versus mainland populations: a case study of dibblers (Parantechinus apicalis) in Western Australia.,	Animal Conservation: the rapid publication journal for quantitative studies in conservation, 4, 7, pages 387 - 395. Crowther, M., Spencer, P., Alpers, D., Dickman, C., (2003), Taxonomic status of the Mardo, Antechinus flavipes leucogaster (Marsupialia : Dasyuridae): A morphological, molecular, reproductive and bioclimatic approach,	Australian Journal of Zoology, 50, 3, pages 627 - 647. Alacs, E., Alpers, D., deTores, P., Dillon, M., Spencer, P., (2003), Identifying the presence of Quokkas (Setonix brachyurus) using cytochrome b analyses from faeces collected in the field,	Wildlife Research, 30, 1, pages 40 - 47. Alpers, D., Gaikhorst, G., Lambert, C., Fletcher, T., Spencer, P., (2003), An extension to the known range of the Desert Mouse, Pseudomys desertor into the Great Victoria Desert, Western Australia.,	Australian Mammalogy, 25, 2, pages 95 - 96. Mills, H., Spencer, P., (2003), Polymorphic microsatellites identified in an endangered dasyurid marsupial, the dibbler (Parantechinus apicalis).,	Molecular Ecology, 3, 1, pages 218 - 220. Spencer, P., Fletcher, T., Woolley, P., (2003), Microsatellite markers from the Julia Creek dunnart, Sminthopsis douglasi (Marsupialia: Dasyuridae).,	Molecular Ecology, 3, 1, pages 570 - 571. Spencer, P., (2003), Detection by PCR and isolation assays of the anaerobic intestinal spirochete Brachyspira aalborgi from the feces of captive nonhuman primates,	Journal of Clinical Microbiology, 41, 3, pages 1187 - 1191. Alacs, E., Alpers, D., de, T., Dillon, M., Spencer, P., (2003), Identifying the presence of Quokkas (Setonix brachyurus) using cytochrome b analyses from faeces collected in the field.,	Wildlife Research, 30, 1, pages 41 - 47. Moro, D., Spencer, P., (2003), Microsatellite primers for the Western Pebble-mound Mouse (Pseudomys chapmani) that show cross amplification for other species of Australian rodent.,	Molecular Ecology, 3, 3, pages 259 - 261. Clark, P., Foster, S., Spencer, P., (2002), Detection of Haemobartonella felis in Australia that is similar to the ohio strain.,	Australian Veterinary Journal, 80, , pages 703 - 704. Hinds, F., Close, R., Campbell, M., Spencer, P., (2002), Characterisation of polymorphic microsatellite markers in the water rat (Hydromys chrysogaster),	Molecular Ecology, 11, , pages 42 - 44. Hinds, F., Close, R., Campbell, M., Spencer, P., (2002), Characterization of polymorphic microsatellite markers in the water rat (Hydromys chrysogaster),	Molecular Ecology, 11, 3, pages 42 - 44. Crowther, M., Spencer, P., Alpers, D., Dickman, C., (2002), Taxonomic status of the mardo, Antechinus flavipes leucogaster (Marsupialia : Dasuridae): a morphological, molecular, reproductive and bioclamatic approach.,	Australian Journal of Zoology, 50, , pages 627 - 647. Spencer, P., (2002), Isolation and characterisation of microsatellite loci in Portunus pelagicus (Crustacea: Portunidae),	Molecular Ecology Resources, 1, 2, pages 30 - 32. LeBas, L., Spencer, P., (2000), Polymorphic microsatellite markers in the ornate dragon lizard, Ctenophorus ornatus,	Molecular Ecology, 9, 3, pages 365 - 366. Spencer, P., Marsh, H., Horsup, A., (1999), Enhancement of reproductive success in a social rock-wallaby, Petrogale assimilis (Macropodidae) as revealed by microsatellite markers.,	Behavioral Ecology and Sociobiology, 43, 1, pages 1 - 9. Eldridge, M., King, J., Loupis, A., Spencer, P., Taylor, A., Pope, L., Hall, G., (1999), Unprecedented low levels of genetic variation and inbreeding depression in an island population of the black-footed rock-wallaby,	Conservation Biology, 13, 3, pages 341 - 351. Spencer, P., Marsh, H., (1997), Microsatellite DNA fingerprinting confirms dizygotic twinning and paternity in the allied rock wallaby, Petrogale assimilis (Marsupialia: Macropodidae),	Australian Mammalogy, 19, 2, pages 279 - 280. Spencer, P., Adams, M., Marsh, H., Miller, D., Eldridge, M., (1997), High levels of genetic variability in an isolated colony of rock wallabies (Petrogale assimilis): Evidence from three classes of molecular markers,	Australian Journal of Zoology, 45, 2, pages 199 - 210. Eldridge, M., Spencer, P., (1997), The sources and uses of genetic material in the study of Petrogale and other mammals,	Australian Mammalogy, 19, 2, pages 265 - 278.